It feels like ages since I've done a layout for my Twilight album! 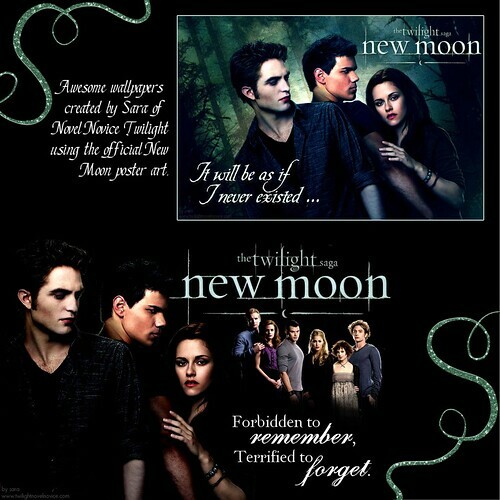 LOL The first official poster for New Moon has been released so I've got a couple layouts for that. First is another tribute to Sara at Novel Novice Twilight who made some great wallpapers using the new poster. I picked my two favorites for this layout.